Lions Club Sliema is the one of the foremost Lions Club of the Maltese Islands. Looking back at the forty three years we have been together, among the achievements that stand out are the Organ Donation Campaign, the restoration project of the frescoes at St Agatha’s Catacombs and the ongoing work of preserving our patrimony at the National Library of Malta. Our members aim is to strengthen the club even further in its philanthropic and social aspects. In doing this we rely on the generous assistance of long-serving members who have served, and continue to serve, on the many boards through which our Club works. We are also very happy to welcome our new members, who have brought in fresh ideas and valuable expertise, which will help us with current and future projects. We meet each first and third Wednesday of every month at 6.30pm at Victoria Hotel Sliema. We are now looking to the possibility of enticing younger members to join our Club. Our student volunteer programmes allow young members to help others in the community. A reduced membership is available for those of student age. 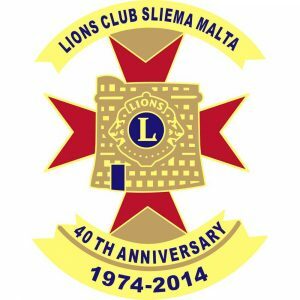 For more information of the Clubs past activities go to History of Lions Club Sliema. Each year we choose a new Lion to be President of our Club. Lion Alex joined our Club just over three years ago. He was sponsored by Lion Tom A. Restall. Soon after he was appointed as Club Secretary. Lion Alex was born on 3rd June 1960 and was educated at Stella Maris College in Gzira, the University of Malta, the Institute of Professional Bodies (MIA) and MCAST Polytechnic (ACCA). He graduated in Business Law & Accountancy. 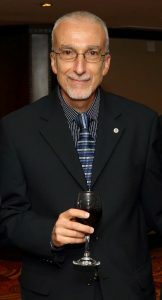 He is married to Silvana nee Galea and he has one daughter Jessica Ruth.